Over 1500 petitioners to the Scottish Parliament who are wanting to change the way prayers are conducted in Scottish schools will have to wait until next year to hear the views of Cabinet Education Secretary Mike Russell. The petition was lodged on 20 June 2013. On 12 November the Public Petitions Committee agreed to obtain the views of Scottish Government on the public comments that had been received on the petition. The Minister’s response is not on the agenda of the Committee for the meeting of 10 December. Petitioners and others will be keen to hear the Scottish Government’s views on submissions such as that of the Scottish Council of Jewish Communities which finds current practices insufficiently inclusive, the Scottish Parent Teachers Council which urges an end to compulsory school prayers, and the Scottish Secular Society which documents extensive inadequacies in current opt-out provisions. Your correspondent Veronica Wikman is right to condemn Universities UK advice that gender segregation in audiences would be acceptable to meet the religious requirements of external speakers. But should not that organisation seek to change the law rather than issue such objectionable advice? And, in a closely related issue, why do the Scottish Government and the Scottish Parliament, both of which are ostensibly pledged to gender equality, facilitate a church that does not allow women priests, to play such a large role in our state education system? There are apparent signs of an emerging and widening Protestant/Catholic religious divide in Scotland in the independence debate. Two days after the publication of the SNP Scottish Government’s ‘White Paper’ on its independence plans the Moderator of the Church of Scotland prominently dined with UK Government Scotland Office ministers in London. The Church of Scotland is seeking to retain its current religious privileges in a possibly independent Scotland but in its White Paper the Scottish Government stated that it planned initially to retain the Protestant monarchy but that it would seek to remove the current discriminatory religious rules which have been the basis of the Scottish and UK monarchy for over three centuries. As previously reported the Roman Catholic Church in Scotland signalled its support for the SNP Scottish Government’s independence agenda by holding the inauguration ceremony of the newly Vatican appointed Archbishop of Edinburgh and St Andrews on the morning of Saturday 21 September 2013 on the same day and in the same city of Edinburgh that was later the scene of a major rally in support of Scottish independence. An independent Scotland: a religious or a secular state? Scottish voters still await the details of the latest thinking of the Scottish Government on its plans for an independent Scotland. All the evidence so far suggests that it will continue to envisage an independent Scotland as a religious state headed by the UK Protestant monarchy that excludes Roman Catholics from succession to the throne. But in its attempt to get the backing of the Church of Scotland for its independence proposals will the Scottish Government go so far as accept the Church’s demands for the continuation of its existing constitutional privileges which it spelled out in a paper at its General Assembly last May? · That the Church should retain the right to conduct marriage and appoint prison chaplains. · And that the churches should retain the right to appoint three members of each local authority education committee. It will be of great interest to voters to see how the Scottish Government responds in its White Paper of 26 November to these proposals by the Church to maintain its existing privileged position in Scottish society and politics in a proposed independent Scotland. In an earlier post I queried whether the petition to change the basis of prayers in schools from ‘opt-out’ to ‘opt-in’ would receive a fair hearing, given that a majority of the Scottish Parliament’s Public Petitions Committee are declared Christians. However, as suggested by the petitioner in response to my post, the Committee has risen to the task and put aside any such predilections to request that the Scottish Government give its response to the Committee to the numerous points raised in evidence for and against the proposed change. For the first time since the establishment of the Parliament in 1999 the Scottish Government and the Scottish Parliament are now required to undertake a thorough review of the laws and regulations that govern religious observance in Scottish schools which were inherited from the UK Westminster Parliament. About time too. What has the Scottish Parliament been doing for the last 14 years? Across Scotland and the UK on Monday 11 November people marked their respectful remembrance for the dead of war by participating in two minutes silence. I happened, by chance, to experience it in Heathrow Terminal 5 where it was concluded by ‘The Last Post’. The ‘Great Silence’, introduced at the suggestion of King George V on 11 November 1919, the first anniversary of the Armistice of 1918, is a secular and powerful form of remembrance that does not involve priests or prayers. The Stone of Remembrance which is to be found in the larger Commonwealth War Graves Commission Cemeteries is also to be found in front of Edinburgh City Chambers and as part of the war memorial in front of Glasgow City Chambers. It has no obvious religious inscription upon it although ‘Their name liveth for evermore’ is taken from the apocrypha – scriptures not approved to be part of the bible. 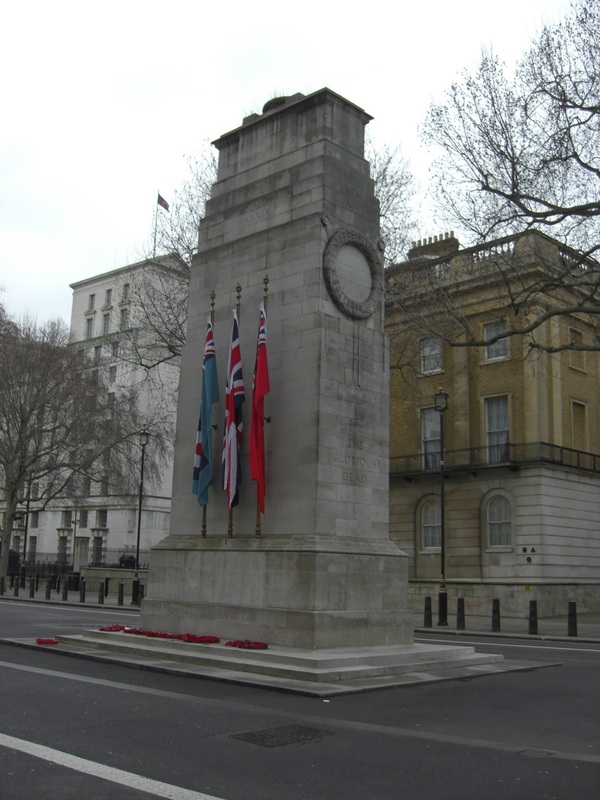 By design and decision of the UK cabinet in 1919 the London Cenotaph has no cross upon it because the over one million Empire dead of the First World War came from such a wide diversity of religions and beliefs. The saying of prayers at ceremonial at these monuments by a representative of any one religion goes against the intention and spirit of these memorials which are meant to be inclusive of all. The silence, however, is inclusive of all, and participatory. The decision of the Northern Ireland Legislature to begin its proceedings with silence rather than prayer is a clear demonstration of the power of silence to promote unity among people divided by religion and belief. By chance I was in Heathrow Terminal 5 this morning at 1100am on 11 November 2013. Comments on the evidence submitted for petition PEO1487 which aims to amend the practice of religious observance in Scottish schools. (to be considered by the Scottish Parliament Public Petitions Committee on 12 November 2013). The petition to the Scottish Parliament to change religious observance practices in Scottish schools from a possible ‘opt-out’ to an ‘opt-in’ basis gives the Scottish Parliament an opportunity to do what it has conspicuously failed to do so far in any in-depth way in its recent 14 year old history – to examine systematically the practice and suitability of religious observance in Scottish state funded schools. For too long policy guidance on religion in Scottish schools has been dominated by a small set of religious and educational professionals without any detailed democratic scrutiny by the elected legislature. The main churches and the political leaders of the major political parties have been happy to operate within a legal framework inherited from the UK Westminster Parliament – a legislature that they so vigorously argued they wanted to be liberated from in order to establish the Scottish Parliament in 1999. It is now the time for the Scottish Parliament to use its powers to subject the existing arrangements for religious practice in Scottish schools to the most fundamental reassessment and democratic re-evaluation and to consider the revocation of the existing Westminster UK Parliament laws that govern it. The only other time that Holyrood considered the matter in some detail, in the Public Petitions Committee in 2007, it gave the status quo inadequate consideration and endorsed Christian religious practices in the schools. In its evidence at that time the Educational Institute of Scotland noted that religious observance in many schools took the form of Christian worship or ‘something very close to it’ and, when the Committee rejected the petition, Committee member MSP John Scott said ‘Religious observation (sic) is important in young and old alike. I am not concerned that taxpayers’ money is being used to promote Christian values; in fact, I am glad about that, because they are vital at this time (20 March 2007 Col 3126). To say the least these comments were clearly in conflict with the multi-faith practice of the Scottish Parliament itself in its ‘Time for Reflection’ and did not reflect the guidance that the Scottish Government actually gave schools on the matter. The evidence presented in relation to the current petition is most revealing and should lead to a fundamental rethink of the practice of religious observance in Scottish state funded schools. The evidence of the Scottish Council of Jewish Communities (SCJC) strikes a chord with the views of atheist, humanist and other parents who have approached Scottish humanist and secular societies and the National Secular Society about their concerns relating to the nature of collective religious practice in Scottish schools – that despite the ‘nod’ in the official guidelines on religious observance in Scottish schools, and by some major churches, towards an inclusive cross-faith religious pluralism in school religious events, many supposedly ‘non-denominational’ schools actually function as Protestant Christian schools and are not genuinely inclusive of all faiths and of those parents and children with no religion. The SCJC rightly points out that the current guidelines were issued by the Scottish Government in 2004 in such a way as to circumvent the need for new legislation and resultant democratic scrutiny by the Scottish Parliament. The difficulties in operating the current guidelines have been amply demonstrated in work by the Edinburgh Secular Society and other organisations and are reflected in the current evidence before the Public Petitions Committee, where the Scottish Parent Teacher Council also recommends the ending of current practices. There clearly is the need for a reconsideration of the laws inherited from the UK Westminster Parliament, and not just the non-statutory guidelines, that govern religious practices in Scottish schools. The law, for instance, requires ‘religious observance’ whereas the guidance from the Scottish Government, which does not have the force of law, invents new language and practices which refer to alternative conceptions of religious observance such as ‘Time for Reflection’ and school ‘community acts’. The Church of Scotland’s plea for ‘religious observance’ to be ‘Time for Reflection’ also requires a change in the existing laws which use the former and not the latter term. Society and religion have changed so much in Scotland in recent decades that the current laws and guidelines have become increasingly out of date. Scotland is not now a Christian society. The Scottish Parliament recognised this in 1999 when it rejected by 99 votes to 9 a motion that there should be exclusively Christian prayers in the new Parliament and arranged instead that there should be a weekly Time for Reflection which would take on a multi-faith character where denominations appeared in proportion to the size of their following in the country[i]. The 2011 census emphasised the falling percentage of the population that was Christian. The 54 per cent Christian in 2011 is likely to fall to 50 per cent sometime during 2014 if the same rate of decline that operated in the decade preceding 2011 is projected to continue forward. Census results however, probably overestimate the proportion of Christians in the population since those results include attributions of religious affiliation to children by parents. Surveys of adults suggest that Christians are now less than half the population. Firm atheists, who have no belief in any god or higher spiritual power constitute 19 per cent of the population – a higher figure than those who identify as Roman Catholics. Those without religion in the 2011 census in Scotland constituted 37 per cent of the population – higher than the 32 per cent reporting themselves as Church of Scotland adherents. And, of course, in some localities in Scotland the proportion of the population that has no religious affiliation will be even higher – approaching, for instance, half of the population in Edinburgh. The changing patterns of religious belief and affiliation are one reason why there are increasing numbers of disputes between schools and parents as to the religious practices to which pupils are subjected to in schools and another indication of the need for change. Younger people and parents of pupils are also much more likely than the population in general to be atheist and non-religious. The assumption that religion should have a role in school and that it can provide unifying experiences for all members of the school community – the argument of the existing Scottish Government guidelines on religious practice in Scottish state schools – cannot be sustained by this evidence on the pattern of belief, religious affiliation and practice in Scotland. The Scottish Government has aligned itself with the major churches in Scotland in mandating that state schools should practice unifying collective religious ceremonies and in suggesting that the term ‘Time for Reflection’ should be used for these events even when the legislation specifies that what should occur is ‘religious observance’. Scottish Government ministers have specified that ‘Time for Reflection’ (TFR) in the Scottish Parliament is a good model for unifying school religious events. But TFR is hardly an example of a unifying experience. Attendance by MSPs is often low –with many usually opting out – and the most common form that TFR takes is a prayer, talk or reading by an individual member of one of Scotland’s six major faith traditions or 14 Christian denominations. There is an occasional inter-faith representative but there have only been two humanists in the 14 years of the Parliament and one or two atheists – greatly under-representing these two latter groups[ii]. TFR has no opportunity for involvement by the ‘body of the Kirk’ –the MSP’s themselves. It is thus a very poor model for the development of unifying community acts in schools. It is interesting, too, that despite the considerable Scottish Government funding that has gone into the Scottish inter-faith movement to improve understanding, good will and common action between the numerous religious denominations, that the submissions to the Public Petitions Committee from religious organisations, like TFR itself, derive from contributions by the individual churches and denominations and not collectively from the inter-faith movement. There is a submission by Inter-faith Scotland but it collects representations from some of the smaller Scottish denominations rather than embracing the collective view of all faiths and religious organisations just as TFR in the Parliament is mainly delivered by separate denominational representatives and only occasionally by an inter-faith figures. ‘There is great potential for well thought out, inclusive, religious observance to create opportunities for pupils to reflect upon the rich diversity of values, beliefs and ideas that make up a pluralist society. Religious observance, again if it is done with sensitivity and thought can help to create a sense of inclusion that enriches a school community’. This statement (which mentions ‘potential’ and implies that ambitions are not realised in practice) does not take account of the fact that a large section of parents and school pupils have no religion and thus cannot be included in school community acts of a religious nature. The difficulty of all denominations acting together in making common collective representations to the Public Petitions Committee on the petition is indicative more generally of the difficulties that denominations have in acting in a common and collective way. Each denomination insists that it has its special access to ‘truth’ and its own identity and self-government. If denominations cannot act together in a collective religious way how can schools be expected to produce genuine religious events that are unifying of all religious denominations and the non-religious population? The current Scottish Government guidance asks schools to perform unifying religious rituals involving all denominations in schools when there is scant evidence of such events being regularly performed in a unifying way in any other situation in Scottish life. Denominational separateness is the norm for religious life outside of school. Even state schools cannot unite in one system because of separate systems of religious belief and practice and are divided between separate Roman Catholic and purportedly ‘non-denominational’, but usually Protestant Christian, schools. If the school system itself cannot be unified what hope is there of religious unity in schools in practices which aim to reflect the extremely diverse system of religious and related belief in contemporary Scotland? The writer strains to identify any frequent collective situation where, in contemporary Scotland and outside of school, religious ceremonies unify congregations with diverse religious beliefs and none. Perhaps the nearest equivalents are services at funerals and following disasters but even then many of the participants probably do not share the religious sentiments articulated by the presiding person(s). Current Scottish Government guidance asks schools to do things that the wider society itself cannot do. Attempts to devise and perform collective unifying religious practices in schools in a diverse and plural society involve the imposition of a limited range of religious beliefs on a diverse group of pupils and cannot do justice to the dignity and development needs of each individual pupil and the requirements of her or his parents. The revocation existing laws in order to remove the requirement of religious observance in Scottish schools is the only honest and defensible response to the inadequacies of the current laws and guidelines and the Edinburgh Secular Society calls on the Scottish Parliament to enact the necessary legislative changes. Pupils will still learn about their own and other religions, humanism and atheism in other subjects but they will not, then, be required to be involved in religious ceremonies of a sectarian or contrived and biased character. In launching a Scottish Government supported website to challenge sectarianism the community safety minister, Roseanna Cunningham, stated that ‘we are committed to the creation of a modern sectarian-free Scotland that is not weighed down by the prejudices of the past’. Why then does the Scottish Government not seek to end the divisions between Roman Catholic and ‘non-denominational’ but Protestant state funded schools or challenge the practice of judges attending separate Roman Catholic and Protestant services at the start of each new legal term – or, indeed, the practice of MSPs attending separate Roman Catholic and Protestant religious services at the start of each new Parliament? Further, why has the SNP Government proposed that an independent Scotland should retain a UK monarchy that excludes Roman Catholics from the throne in opposition to the expressed will of the Scottish Parliament, on more than one occasion, that this prohibition should end. It seems that the SNP Government, despite its avowal of anti-sectarianism, is prepared to tolerate some forms of sectarianism when it is politically convenient and involves some of the high and mighty. Hardly a good example!